What happens if you can't pay your corporation tax or personal income tax in Canada? First, you should make sure you file on time. Even if you owe more taxes than you can pay by the income tax filing deadline, you need to file your income tax return on time to avoid late-filing penalties. Once the Canada Revenue Agency (CRA) has processed your income tax return, they'll send you a Notice of Assessment. If that shows an income tax balance owing that you can't pay immediately, you should contact a tax services office, which will help you set up a mutually acceptable payment schedule. This page of the CRA website has links to tax services offices throughout the country. It's important to let the CRA know about the problem and arrange a payment schedule as quickly as possible, because daily compound interest is charged on any unpaid income tax balance, starting on the annual filing deadline and continuing until you've paid the income tax you owe in full. If you are in a situation where you are unable to meet your tax obligations through financial hardship or extraordinary circumstances you may apply to the Canada Revenue Agency to have penalties and interest waived or canceled through the Taxpayer Relief Program. Circumstances that may be acceptable to the CRA for relief from penalties include serious illness, loss of employment, natural disasters, etc. While the CRA may forgive penalties and interest they will not generally negotiate lowering the amount of your tax bill. If you are in a situation where you are unable to pay the full amount of taxes owed or meet a payment schedule you will probably need to consult with a bankruptcy trustee who can negotiate with creditors (including the CRA) on your behalf. Note that if your business is a sole proprietorship or partnership your personal assets are not separate from those of the business, so if you intend to declare bankruptcy your personal assets may be seized for debt repayment. (There are certain items that are exempt from seizure but this varies from province to province depending on provincial acts and laws.) There are two ways for you (and your trustee) to deal with creditors. This type of agreement involves negotiating a partial payment of your debts in return for your creditors forgiving the remaining amount. A Consumer Proposal has a major advantage for sole proprietors and partners in that unlike bankruptcy your personal assets are not liable for seizure. If this is the only option, all debts (including taxes) can be forgiven. The trustee is obligated to file your tax return for the period of the year up until the date at which you declared bankruptcy and a second return for the period from the date of the bankruptcy to the end of the calendar year (called a Post-Bankruptcy return). Unremitted source deductions such as employee income tax, CPP, and Employment Insurance (EI) are high priority for collection by the CRA and the penalties for late payment are steep. In a corporate bankruptcy proceeding the CRA is treated as a secured creditor and generally has first right of recovery of unremitted source deductions. In addition, company directors can be held personally liable if the company's assets are insufficient to cover the amounts owing. Remedies can include personal asset seizures and/or garnishment of wages. GST/HST collected on sales: as with source deductions in a bankruptcy proceeding the directors can be held personally liable for non-payment of unremitted GST/HST. 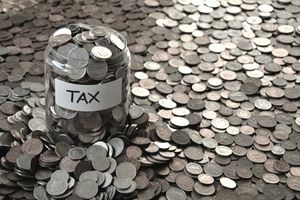 Unpaid corporate taxes in bankruptcy: the CRA is treated as an unsecured creditor and does not assign liability to the directors. It is important to recognize that source deductions and GST/HST funds from sales are considered by law to be held in trust for the CRA and do not belong to the corporation. As always, seek advice from your accountant, tax lawyer, or trustee before proceeding.